In a world where the environment seems constantly put under threat by the insatiable greed of transnational corporations, the question of the appropriateness of the current legal framework for enforcing environmental justice emerges. Firms responsible for major environmental crimes often enjoy impunity due to the scarcity of legal remedies available to the victims, and the imbalance of economic resources and political power between the guilty company and the affected community. 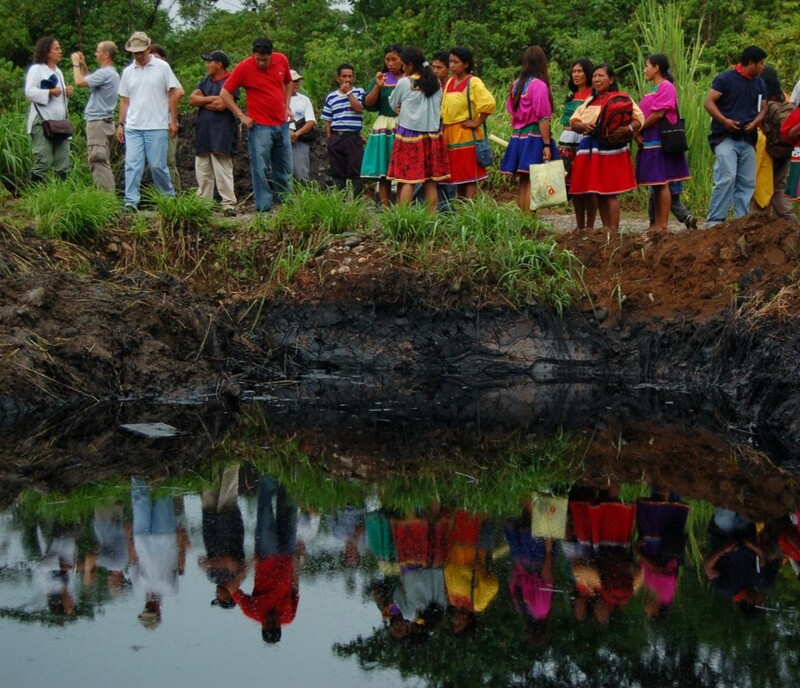 An outstanding example of the failure of the actual scenario for implementing environmental justice is the Chevron-Texaco oil contamination crime perpetrated in the Ecuadorean Amazon Rainforest. The case stands as excellent evidence that a last instance ruling in the country where the crime was committed could be insufficient to grant justice and remediation. Chevron (at the time Texaco) operated in the Ecuadorean Amazon Rainforest from 1964 to 1992. During the concession period, the firm conducted firstly exploratory drilling and subsequently full-scale production, without properly disposing of toxic byproducts (e.g. excess crude, chemicals, and produced water) of its extractive activities. Instead, the company dumped the toxic waste into badly constructed pits or directly into surrounding rivers and streams. This is particularly reprehensible given that proper disposal techniques were not only available and known to be cost effective, but were also already in use by the company in the United States and other countries. It is estimated that Texaco, over the time it operated the sites, spilled directly into water bodies a total of 18 billion gallons of formation water, at a rate close to 10 million liters of toxic water per day, and 16,800 million gallons of crude, that is about 30 times the oil spilled in the Exxon Valdez disaster in Alaska. Due to the use of outdated techniques for oil-associated gas’s combustion, around 6,667 million cubic meters of gas were burned outdoors over the 28 years of Texaco’s operations. The overall affected area reached 450,000 hectares and the impacted population amounts to 30,000 victims (see further Chevron’s Chernobyl in the Amazon). The consequences of Chevron’s irresponsible conduct not only had impacts on water resources, soil, air, and the entire delicate ecosystem of the Ecuadorean Rainforest, but also destroyed the subsistence farming and fishing of the affected people, and deeply threatened their health and indigenous cultures. In 1993, a group of Ecuadorian indigenous peoples and farmers living around the contaminated sites filed a class-action lawsuit against Texaco in New York, denouncing the company’s intentional use of substandard environmental practices, which have caused massive soil and water pollution. Upon the company’s request, the case was transferred to Ecuador, and the claim against Chevron re-filed by the victims before Ecuadorean courts in 2003 (Aguinda v. Chevron Texaco). In the meanwhile, Chevron acquired Texaco (2001), de facto purchasing the second firm’s legal, financial, and reputational liabilities stemming from Texaco operations in Ecuador. After nearly two decades of litigation, one of the largest court judgments for environmental damage in history was issued against the multinational. On February 14, 2011, the Ecuadorian Provincial Court of Sucumbíos released its final judgment, finding Chevron liable for $18 billion in compensatory and punitive damages. On January 3, 2012, the Ecuadorian appeals court confirmed the judgment in its entirety, and, on November 12, 2013, the Supreme Court of Ecuador upheld the lower court’s ruling, though removing the punitive damages, and assessed the compensation for the victims as amounting to $9.51 billion. Subsequently, Chevron appealed the ruling to the Ecuadorean Constitutional Court, through an extraordinary recourse that is still pending before this court. Notwithstanding, the Supreme Court’s judgment, being the country’s court of last instance, is considered definitive and already internationally enforceable. 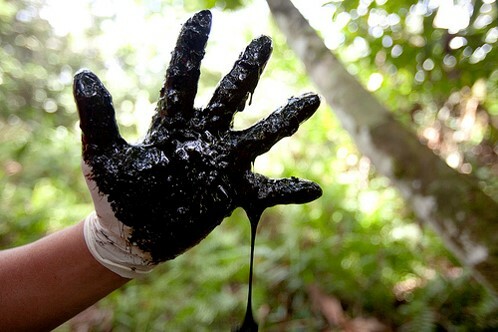 Meanwhile, Chevron removed all its assets from Ecuador in order to escape enforcement actions. Consequently, the lawyers of the affected people are undertaking lawsuits in different countries to seek enforcement of the favorable outcome. 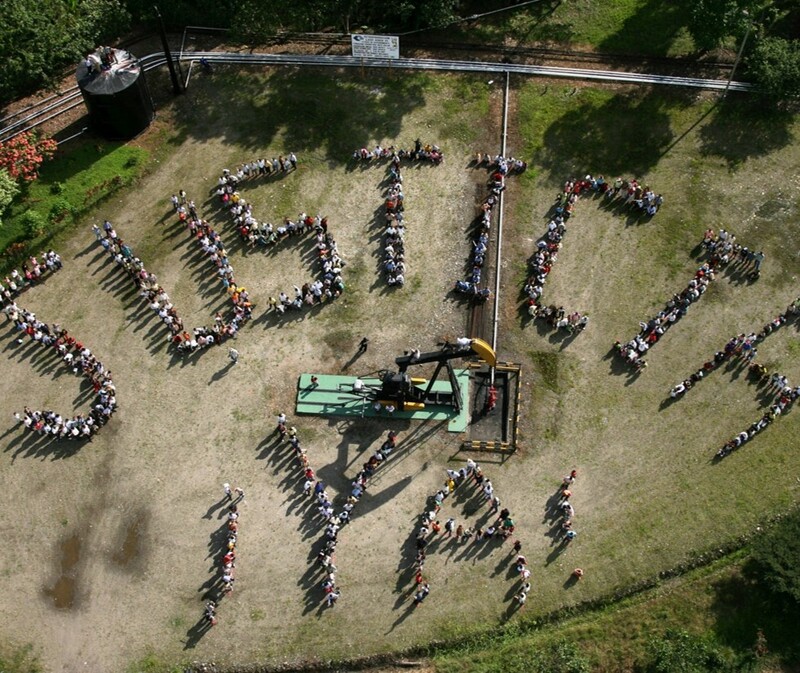 Though positive developments in courts around the world make the victims persevere in their struggle, still justice is denied because of dilatory actions and misuse of legal remedies granted by Chevron’s global architecture of impunity. Currently, the Unión de Afectados por las Operaciones Petroleras de Texaco (Union of People Affected by Texaco’s oil operations, UDAPT) is tackling Chevron’s impunity on various fronts. The organization represents the 30,000 victims of the environmental crime, who have been struggling for 23 years to obtain a proper remediation of the environmental disaster and appropriate compensation. Apart from the national scenario (first front, Ecuador), the second arena in which UDAPT is playing regards the enforcement of the Ecuadorean judgment outside the country, such as in Argentina, Brazil and Canada. In particular, in this latter country the plaintiffs on September 4, 2015, obtained a crucial judgment by the Supreme Court of Canada in the Chevron Corp. v. Yaiguaje case. The Court unanimously recognized Canadian jurisdiction over the judgment enforcement claim, confirming a second instance’s decision. However, the Canadian Supreme Court’s verdict is only a step in the process of winning the plaintiffs’ claim for compensation in Canada. As the Court warned, its recognition of the jurisdiction over Chevron Corp. and Chevron Canada is different from recognizing the foreign judgment and thus allowing it to be executed. Nevertheless, the Canadian Supreme Court’s ruling is groundbreaking and encouraging for the Ecuadorean affected people, as well as relevant for other affected communities fighting multinationals worldwide. First, the Court analyzes whether and under what conditions it has jurisdiction to decide on the recognition and enforcement of the Ecuadorean judgment (Aguinda v. Chevron Texaco). The Supreme Court’s answer focuses on the limited inquiry involved in this kind of proceeding. Namely, the court is not asked to inquire into the underlying merits or create a “new” debt obligation, but rather to undertake a limited scrutiny necessary to confirm the fundamental legitimacy of the debt obligation already rendered by the foreign tribunal. Secondly, the court analyzes the existence of jurisdiction over the subsidiary, Chevron Canada, and the potential need to pierce the “corporate veil” that separates the subsidiary and parent company. With regard to the first point of appeal, Chevron claimed the need for a real and substantial connection between the defendants or the subject of the dispute and the Court of Ontario, that is, the same jurisdictional test that would apply to the assertion of jurisdiction over a foreign corporation in a matter at first instance. The Supreme Court rejected this argument, highlighting the difference between a judgment on the merits, in which an obligation is generated, and one merely facilitating the execution of an obligation that already exists. In the second case, the only requirement for jurisdiction in the “facilitating” court is that the foreign court that issued the judgment had a real and substantial connection with the parties or the subject of the dispute (or that other traditional requirements for jurisdiction are met). A higher jurisdiction standard, the Court explained, would threaten the rights of the creditor to obtain just satisfaction of due obligations from transnational counterparties. The decision confirms the generous attitude that the courts of Canada have maintained with respect to recognizing foreign judgments. Particularly noteworthy is the Court’s discussion on the concept of “universal obligation”, which is intrinsically linked to the principles of comity and reciprocity. The Court held that “the obligation created by a foreign judgment is universal, each jurisdiction has an equal interest in the obligation resulting from the foreign judgment, and no concern about territorial overreach could emerge”. The Court asserted that the globalization of business should not lead to the detriment of individual rights but rather to their benefit. Because creditors will be forced in some instances to turn to foreign courts for redress, mutual awareness, respect, and assistance between courts is necessary to weave fairness and predictability into international economic relations. Concerning the second question involving the jurisdiction over Chevron Canada, a seventh level indirect subsidiary of Chevron Corp., the Supreme Court’s reasoning is particularly impressive. Chevron Canada argued that even if jurisdiction was established over the parent, the Canadian courts would not have jurisdiction on the subsidiary because it was not party to the Ecuadorian proceeding. The Supreme Court rejected this argument, holding that the core of the dispute in question is not the damage caused in Ecuador but rather the quantum of Chevron’s assets that may be seized. Under this perspective, it is clear that Chevron Canada itself is part to the proceeding because it holds assets in the Province of Ontario that might, depending on the decisions of the courts, be seized to satisfy the Ecuadorian judgment. In fact, Chevron Canada, which has a significant economic relationship with the parent, holds assets in Canada estimated at over $15 billion. Chevron Canada was properly served notice of the enforcement process at both its headquarters in British Columbia, and where its real business is conducted in Mississauga, Ontario. Therefore, the Court found jurisdiction under the traditional criterion of presence. Nonetheless, the Supreme Court warned that, following the principle of independence of the subsidiary from the parent company, a judgment against Chevron Corp. will not automatically lead to seizure of assets held by Chevron Canada. It will be necessary to analyze whether the shares of Chevron Canada are substantially attributable to the Chevron Corp. in order to pierce the “corporate veil” between the two companies. In ways, the ruling appears to urge the multinational to abandon its strategy of endless delay. Should the plaintiffs prevail against the assets of Chevron Canada, it would be clear that the “veil” allegedly separating subsidiaries from the faults of their parents offers little protection, even when the parent company has no real and substantial connection with the court of the execution. A final execution judgment against Chevron would also stand out as the emblem of the fight against multinationals, proving that environmental justice can be effective across national boundaries and potentially triggering a wave of new claims. The importance of the Canadian decision is heightened by the fact that the possibility of obtaining recognition and enforcement of the Ecuadorean judgment in the United States (Chevron Corp.’s home state and third front for the Chevron-Texaco lawsuit) has been denied so far. Indeed, the company appealed to the RICO (Racketeering Influence and Corrupt Organizations) Act before the Second District Court of New York to prevent the enforcement of the Ecuadorean judgment on allegations of bribery, fraud, and extortion against the lawyers of the Ecuadorean victims (Chevron Corp. vs Steven Donziger). On March 7, 2011, Judge Kaplan issued a preliminary injunction banning the execution of any Ecuadorean court judgment in any country outside Ecuador. It was not long before the decision was struck down: indeed, the U.S. Second Circuit on September 19, 2011, annulled Judge Kaplan’s decision, noting that the RICO law was not meant to make its courts act “as transnational arbiters to dictate to the entire world which judgments are entitled to respect” (Court opinion of January 26, 2012). Moreover, the fraud allegations were mainly based on the deposition of Chevron’s so called “star-witness”, Mr. Alberto Guerra. He is a former Ecuadorean judge of the Provincial Court of Justice of Sucumbíos who first heard the Aguinda case between May 2003 and January 2004, when the lawsuit was transferred to Ecuador from the United States. After having left this institutional position, he started receiving substantial money and other benefits from the multinational, arguably for his favorable testimony. Moreover, Guerra’s deposition was contradicted by his own affirmations before the International Arbitration Panel in Washington during Phase II of the Arbitration between Chevron Corp. and the Republic of Ecuador. His declaration, stated in the cross-examination held over two days between April and May of 2015, shows dramatically that there is no evidence to support the claims of bribery and of a ghostwritten judgment. Notwithstanding the controversial grounds of Judge Kaplan’s decision, on 8 August 2016 the competent U.S. court of appeals agreed with the lower court’s ruling that the Ecuadorian community cannot collect the $9.5 billion Ecuadorian judgment on the basis that it was obtained by corrupt means. In particular, the Court argued that the Ecuadorean plaintiffs have not sufficiently challenged the evidence presented by Chevron at first-instance before Judge Kaplan. The Court adds that the Ecuadorian courts of appeals failed to address the pending corruption charges against the plaintiffs. Lastly, it affirms that Judge Kaplan’s ruling does not interfere with the Ecuadorian sentence but prevents the plaintiffs from enforcing it in the U.S. on the grounds of personal restrictions. The lawyers for the Ecuadorian plaintiffs are examining further appeal options. However, the scarcity of economic resources to face the expenses of further legal proceedings lessens the Ecuadorean victims’ chances of appealing the decision. From this succession of legal attacks, it appears evident that the company’s strategy is to move the attention from the environmental crime to the fraud issue. This conduct is even worse if one considers the historical reality of the case, which is that Chevron itself requested the transfer of the trial from the U.S. to Ecuador. At the time, it assured the U.S. district court that it would have recognized the binding nature of any judgment issued in Ecuador and submitted itself to Ecuadorean jurisdiction. However, the company seems to have “forgiven” this commitment. The fifth scenario of the case involves the International Arbitration Chevron Corp. and Texaco petroleum Co. vs. the Republic of Ecuador, initiated in 2009 by the company under the U.S.-Ecuador Bilateral Investment Treaty, at the Permanent Court of Arbitration in The Hague. In this instance, Chevron requested the arbitral panel to issue a declaration that the State of Ecuador (through Petroecuador, the oil public firm part of the Ecuadorean consortium in which Texaco operated) is exclusively liable for any judgment that may be issued in the Ecuadorean litigation. The grounds of this allegation rely on the violation both of the bilateral treaty by compromising the judiciary’s independence and of the releases from liability previously granted to Texaco by the Republic of Ecuador. Firstly, it should be underlined that the allegedly violated treaty was signed on August 27, 1993, and entered into force on May 11, 1997 – five years after the termination of Texaco’s operations in Ecuador. Secondly, though Chevron could possibly claim damages from the Ecuadorean State, the arbitral panel cannot affect in any way the Aguinda ruling, because it has no jurisdiction over the Aguinda plaintiffs. If the company can still defend before the Ecuadorean government the releases from responsibility, nonetheless the company was released from government claims only, not from third-party claims like those of the Aguinda plaintiffs. However, in January 2016, the international arbitration tribunal ruled in favor of Chevron over Ecuador being bound by the US-Ecuador investment agreement and by the releases of responsibility. In July 2016, Ecuador indicated that it had executed the arbitral decision and paid the $112 million compensation to Chevron. The last battlefront for the Ecuadorean victims is the international criminal proceeding before the International Criminal Court in The Hague. In October 2014, the Ecuadorian victims filed a request of hearing with the ICC in respect of Chevron’s chief executive’s responsibility in hindering the ordered remediation of the company’s toxic legacy in the Amazon. In March 2015, the ICC prosecutor declined to hear the case based on two arguments. First, the temporal barrier: the crime happened in the 1990s while the ICC can only hear cases occurring in 2002 or after. Secondly, the subject matter: the jurisdiction of the ICC did not cover the crime of ecocide. In the interim of all these negations of justice, the victims keep fighting in the social arena, that of public awareness. Among their actions, there is the contact with Chevron shareholders for a responsible investment and a gradual divestment, the lobbying on European institutions and UN bodies, and the launching of grassroots mobilizations against corporate impunity. Those campaigns have created a global movement asking for corporate accountability. 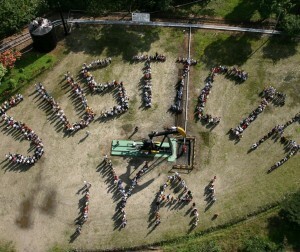 However, these activities cannot replace the execution of the due environmental justice. In consideration of the incapacity of the judicial system to address this claim, the first compelling need is that courts around the world start cooperating in making transnational businesses accountable for their environmental crimes. However, this often requires years of expensive litigation before various jurisdictions, which often cannot be feasible for low-income plaintiffs, as in the case of the Ecuadorean victims. A powerful instrument for urging companies to bear their responsibilities might be the influence that public and private investors can exercise on corporate conduct, and the power of public opinion. Nevertheless, neither shareholder activism nor massive campaigns can achieve environmental justice by themselves. A proposal worthy of attention is that of a unified court for environmental crimes, which rose from the consideration that crimes against the environment affect the whole global community. It was proposed that this role may be played by the International Criminal Court. This option is supported by the reasoning on the comparable roles of civil and criminal enforcement in achieving effective environmental justice. It could be argued that monetary penalties are not enough to fully deter environmental crimes, and therefore that multinationals’ CEOs need to feel that they could face personal criminal allegations for the environmental consequences of their decisions. Since early 2010, the international lawyer Polly Higgins has advocated for the crime of “ecocide” to be included as the fifth crime against humanity under the Rome Statute of the ICC, thus allowing the already existent court to hear environmental crimes cases. A European Citizen Initiative was recently filed with the same objective. In October 2015, at the 2nd World People’s Conference on Climate Change, the Argentinean activist and Nobel Peace Prize laureate, Adolfo Pérez Esquivel, embraced this proposal as well. The ICC approach is one example of conceiving justice in the Chevron and similar cases not in terms of various national jurisdictions, but in terms of global or universal jurisdiction. The Canadian ruling approached this notion in its discussion on a “universal obligation” of enforcement supporting the Ecuadorian judgment exequatur. Another solution could be the elaboration of an international legally binding instrument on transnational corporations and other business enterprises with respect to human rights. The Amazon Rainforest plaintiffs joined this debate, taking part in the open-ended intergovernmental working group for the elaboration of such treaty. In conclusion, the Ecuadorean example could contribute to the achievement of an integrated system for environmental civil and criminal jurisdiction where the victims would be able to directly apply and effectively find relief, without requiring arduous litigation before multiple jurisdictions. The discussion whether this integrated system for environmental justice should be based on a binding treaty or on a unified court is still open. Texaco’s pits were simply dug out of the jungle floor without any of the hydrologic study necessary to place them outside of groundwater flows, and without any of the technology – such as synthetic liners, leachate collection systems, or leachate monitoring systems – that was customary in the industry at the time. Indeed, at the time Texaco held leading patents on produced water monitoring (Patent No. 3,680389) and subsurface reinjection (Patent No. 3,817,859). Texaco’s Ecuadorian operations in the 1960s and the 1970s were in evident violation of regulations then in effect in major oil producing U.S. states. For example, in Louisiana, where Texaco operated several wells, the discharge of produced water into natural drainage channels had been outlawed since 1942. See Louisiana Department of Conservation (Minerals Division), State Wide Order Governing the Drilling for and Producing of Oil and Gas in the State of Louisiana, Order Number 29-A, May 20, 1942. In Texas, where Texaco had extensive operations, the use of open or earthen pits was outlawed in 1939. See Railroad Commission of Texas, Open Pit Storage Prohibited, Texas Statewide Order No. 20-804, July 31, 1939. Case No. 174-2012, verbal proceeding No. 174-2012, MARÍA AGUINDA SALAZAR ET AL. against CHEVRON CORPORATION, Quito, November 12, 2013. Case No. 2015 SCC 42, File No. 35682, Chevron Corp. v. Yaiguaje, September 4, 2015. Supra at 51, 52 & 69. Case 1:11-cv-00691-LAK-JCF, Document 1874 Filed 03/04/14, CHEVRON CORPORATION against STEVEN DONZIGER, et al., 11 Civ. 0691 (LAK). March 17, 2011 Decision by the United States Court of Appeals, Second Circuit, Republic of Ecuador v. Chevron Corporation, Texaco Petroleum Company, p. 21. PCA Case No.2009-23, Chevron Corp. and Texaco petroleum Co. vs. the Republic of Ecuador. See Chevron’s Notice of International Arbitration Against Government of Ecuador. Ruling of Presiding Judge Nicolas Zambrano Lozada, Provincial Court of Sucumbíos, 14 February 2011, pp.34, 176. Berti Suman, A., ‘The Canadian ruling: towards a global enforceability of environmental justice’ in Our lands, our rights, Cultural Survival Quarterly, June 2016. Basteiro Bertoli, L., Negocios Insaciables, Estados, Transnacionales, Derechos Humanos y Agua, Agencia Andaluza de Cooperación Internacional para el Desarrollo, Bogotá, 2015. Beristain C. et al, Las palabras de la Selva. 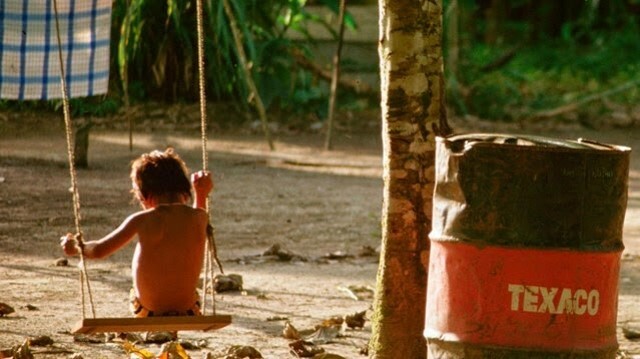 Estudio psicosocial del impacto de las explotaciones petroleras de Texaco en las comunidades amazónicas de Ecuador, HEGOA, Bilbao, 2009. Billenness, S., An analysis of financial and operational risks to Chevron Corporation from Aguinda v. Chevron-Texaco, The CSR Strategy Group, 2012. ChevronToxico, Report: Chevron Misleading Investors Over Ecuador Environmental Judgment, 17 April 2012. Crooks, E. and Mapston N., Chevron’s Ecuador case takes new Twist, Financial Times, 4 January 2012. Falconi, F., Economía y desarrollo sostenible. ¿Matrimonio feliz o divorcio anunciado? El caso de Ecuador, FLACSO, Quito, 2002. Fontaine, G., Más allá del caso Texaco ¿Se puede rescatar al Nororiente ecuatoriano?, ICONOS, 2003. Jochnick, C.et al, Violaciones de derechos en la Amazonía ecuatoriana: las consecuencias humanas en el desarrollo del petróleo, 1994. Maldonado, A., Pueblos Indígenas y petroleras. Tres Miradas, Clínica Ambiental, Quito, 2013. Sawyer, S., Crude Contamination: Law, Science, and Indeterminacy in Ecuador and Beyond, UC Davis, 2014. Simons, M., Chevron fights justice in Ecuador on two fronts, but needs to win everywhere, EarthRights International blog, 4 May 2011.